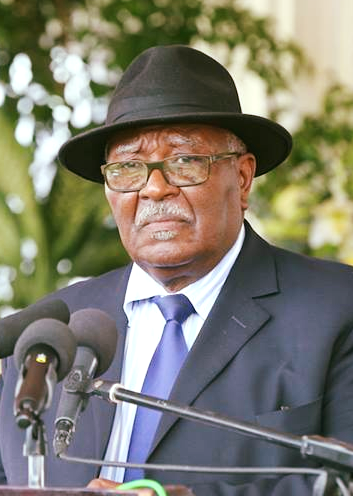 THE acting chairman of the Council of Traditional Leaders in Namibia, Chief Immanuel !Gaseb, said that the prevalent in-fighting within tribal authorities in Namibia is becoming unbearable and the situation might eventually force the central government to intervene. Speaking at the memorial service of late king Immanuel Kauluma Elifas at Onamungundo on Friday, !Gaseb decried the fact that tribal leaders are constantly running to the courts to solve their internal disputes. These conflicts are mostly about succession to the chieftainship. In what appeared to a direct reference to the current situation in the Ondonga Traditional Authority, !Gaseb expressed his disappointment and urged traditional leaders to rather sit down and solve their problems internally instead of running to the courts. “If the problem persists,” he said, “the government might intervene” by abolishing the institution of chief and allow headmen to run the show. 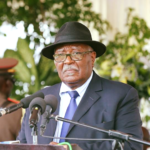 He also revealed that the election of the new chairperson of the Council of Traditional Leaders to replace late King Elifas who headed the body since its inception in 1998, will only take place next year.